Cardiff – Airbus’ A350-1000 test aircraft MSN071 has completed fuel system and engine tests in Cardiff, Wales between 3 and 4 May as part of its type certification flight test campaign. Fuel test engineers from Airbus’ site at Filton, Bristol, were on hand to support testing of the fuel systems that were designed in the UK. The objective of the test is to simulate operational conditions in hot countries and check how global fuel management system and engines behave with hot fuel (over 43°C). The early results demonstrate that the fuel management system efficiently handles various fuel densities and temperatures, as well as fuel flow to engines and between tanks while airborne offering the best operational performance. The A350-1000 is ready for hot conditions operations from Entry Into Service later this year. The A350-1000, just as the -900, has a simplified fuel system with only three tanks and fewer pumps and valves. This contributes to a 25% advantage in operating costs and is another example of the high level of commonality within the A350 XWB family. Fuel systems tests are part of standard tests for all new aircraft and major modifications such as new engines. The aircraft was fuelled twice a day and then the flight test team performed a number of required engine and systems flight tests with hot fuel. The site at Filton, Bristol is Airbus’s worldwide centre of expertise for fuel systems design and testing, which is why these fuel tests for the A350-1000 - as for all Airbus aircraft such as A320neo, A380, A350-900, and A400M - have been carried out in the UK. The A350-1000 is the latest member of the Airbus leading widebody family, together with the A330neo, offering unprecedented levels of operating efficiency, low noise and true long-range capability. As well as having a longer fuselage to accommodate 40 more passengers than the A350-900, the A350-1000 also features a modified wing trailing-edge, new six-wheel main landing gears and more powerful Rolls-Royce Trent XWB-97 engines. The A350-1000 embodies all of the fuel efficiency and ‘Airspace’ cabin comfort of the original A350-900 – but with extra size perfectly tailored for our customers on some of their busiest long-haul routes. To date 12 customers from five continents have placed orders for a total of 211 A350-1000s. Figure 2: CanX-7 with drag sails deployed. 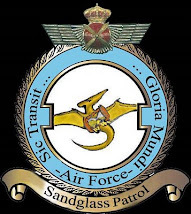 CanX-7 completed a seven (7) month campaign to collect ADS-B messages from aircraft to demonstrate Canada’s first ADS-B data collection from space. With that phase of the mission successfully completed, the drag sails were deployed to begin the second phase of the mission. The sequential phases were intended to emulate an operational mission followed by deorbiting. 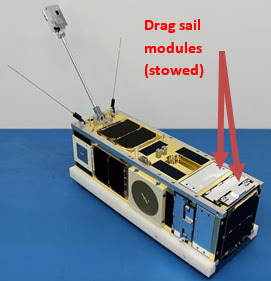 A key component in the drag sail technology demonstration was long-term stowage of the drag sail modules in space without interrupting or affecting the operational mission. “We want our drag sail technology to be compact and non-intrusive to a satellite’s main mission. 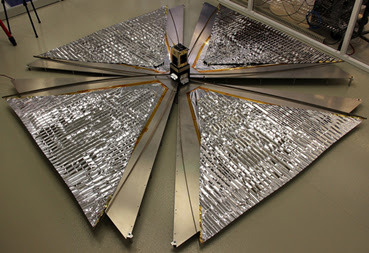 This will ensure wide acceptance and easy adoption by future microsatellite missions,” says Zee. About Space Flight LaboratorySFL builds big performance into smaller, lower cost satellites. Small satellites built by SFL consistently push the performance envelope and disrupt the traditional cost paradigm. Satellites are built with advanced power systems, stringent attitude control and high-volume data capacity that are striking relative to the budget. SFL arranges launches globally and maintains a mission control center accessing ground stations worldwide. The pioneering and barrier breaking work of SFL is a key enabler to tomorrow’s cost aggressive satellite constellations. What an incredible adventure! Beads of perspiration gathered on our brows and a cold sweat ran down our backs, but after several weeks of hard work, our labour finally paid off! We got there! 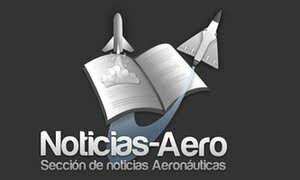 SolarStratos flies! On Friday, the 5th of May 2017, our test pilot Damian Hischier took command of the aircraft. 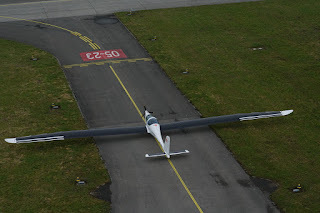 The taxiing tests on the tarmac and the runway were conclusive. The Federal Office of Civil Aviation issued our ‘permit to fly’. We were ready. All that remained was for SolarStratos to take off. No small feat for a prototype! Imagine for just a moment the emotion when Damian lined up ready for take-off. The whole team was willing it to go well. The plane was lined up, there was no wind. 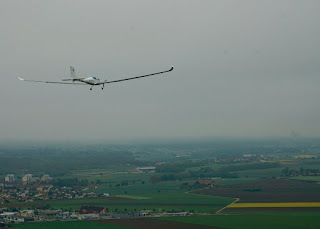 Damian engaged the full power of the electric motors and the plane started to move forward. It gathered speed, faster and faster, (as did our heartrates!) and then all of a sudden, the wheels left the ground. The ultimate adrenalin rush was swiftly followed by a fleeting moment of disbelief before we all exploded with joy! “We did it!” exclaimed Raphael, feeling the same sensations as seven years ago when PlanetSolar was launched in north Germany. At these moments, the emotions eclipse any of the tough times. Pride and joy merge with memories of all the sacrifices that led to this historic moment on the SolarStratos journey. With this step completed, we can look forward to the next adventures with peace of mind. 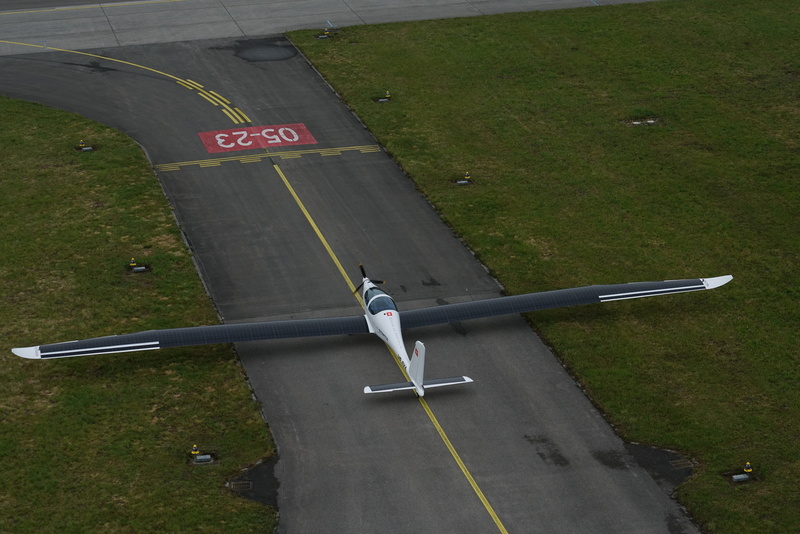 Of course, the road to flying at very high altitude is long, but we are confident of getting there. The intention is to get there step by step with confidence. 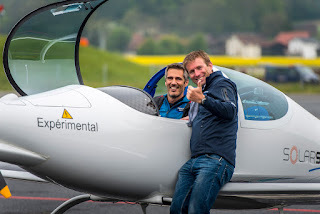 Our current objective is for Raphael and his co-pilot, Thierry Plojoux, to master SolarStratos so that we can demonstrate the aircraft’s flight capabilities at a major event in Quebec in June. We will tell you more about this soon, but in the meantime, stay up to date on our progress via our social media networks or through our monthly newsletter. And don’t forget this eco-adventure belongs to you too! Don’t hesitate to sign up to our Club if you haven’t already, and spread the word! Together we will reach the edge of Space powered by solar-energy. Thank you for your support and see you in a month! We wish you a good start to Spring. WASHINGTON (AFNS) -- The X-37B Orbital Test Vehicle mission 4 (OTV-4), the Air Force's unmanned, reusable space plane, landed at NASA’s Kennedy Space Center Shuttle Landing Facility May 7, 2017. The OTV-4 conducted on-orbit experiments for 718 days during its mission, extending the total number of days spent on-orbit for the OTV program to 2,085 days. "The landing of OTV-4 marks another success for the X-37B program and the nation," said Lt. Col. Ron Fehlen, X-37B program manager. "This mission once again set an on-orbit endurance record and marks the vehicle's first landing in the state of Florida. We are incredibly pleased with the performance of the space vehicle and are excited about the data gathered to support the scientific and space communities. We are extremely proud of the dedication and hard work by the entire team." "The hard work of the X-37B OTV team and the 45th Space Wing successfully demonstrated the flexibility and resolve necessary to continue the nation's advancement in space," said Randy Walden, the director of the Air Force Rapid Capabilities Office. "The ability to land, refurbish, and launch from the same location further enhances the OTV's ability to rapidly integrate and qualify new space technologies." The Air Force is preparing to launch the fifth X-37B mission from Cape Canaveral Air Force Station, Florida, later in 2017. IAF Begins Brutal Rejig Of Purchase Priorities. Expect Blood.